I do not like French Toast. Seriously. The eggy taste kills the dish and the soggy bread grosses me out. 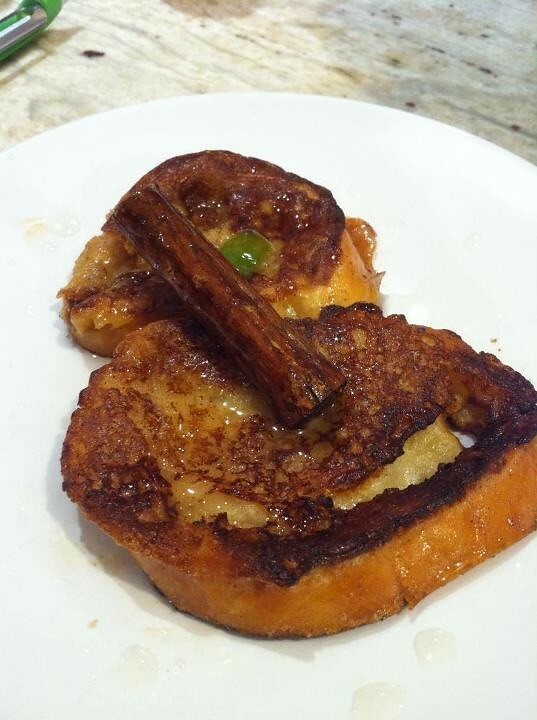 Enter Torrejas Especiales, the Cuban version of French Toast that is often served as a dessert. I never knew that Torrejas were French Toast and if I would have known, there would have been some reluctance to try Recipe #457: Torrejas Especiales. Good thing I didn't know. These things kill your eggy soggy French Toasts every day of the week. 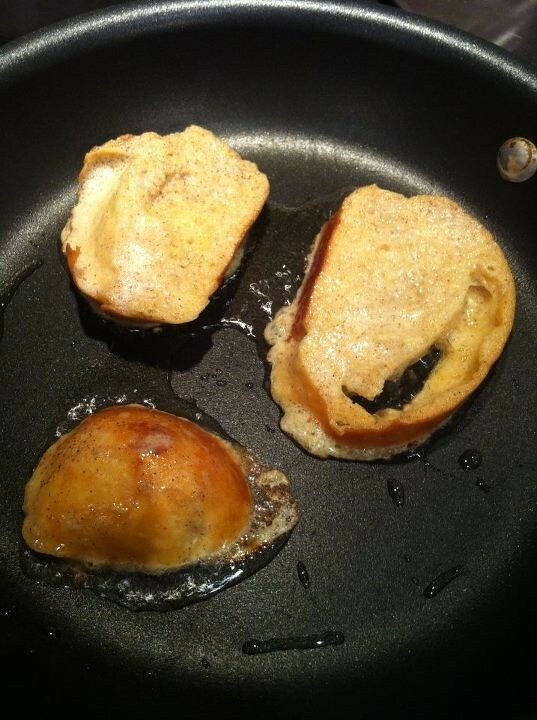 And if you're just one step ahead of me already and love Torrejas, you've got to try Marta's Stuffed French Toast. She stuffs them with guayaba and cream cheese. Muérete. 1. 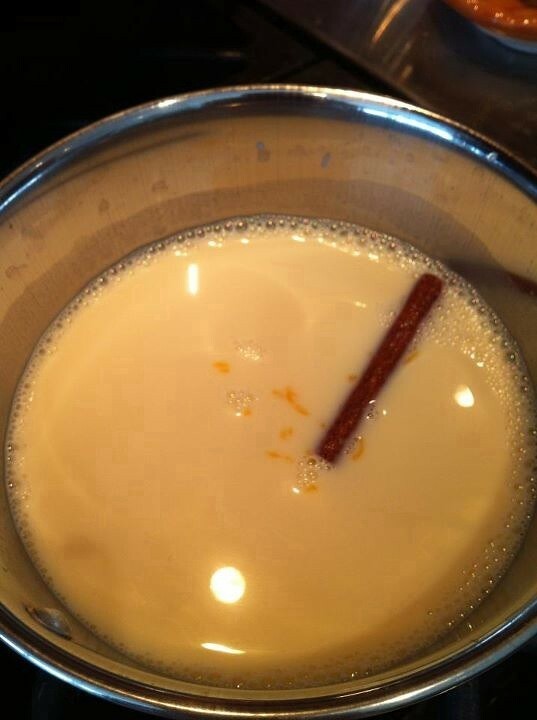 Beat the egg yolks and add the evaporated milk, sugar, dry white cooking wine, vanilla and cinnamon. 2. 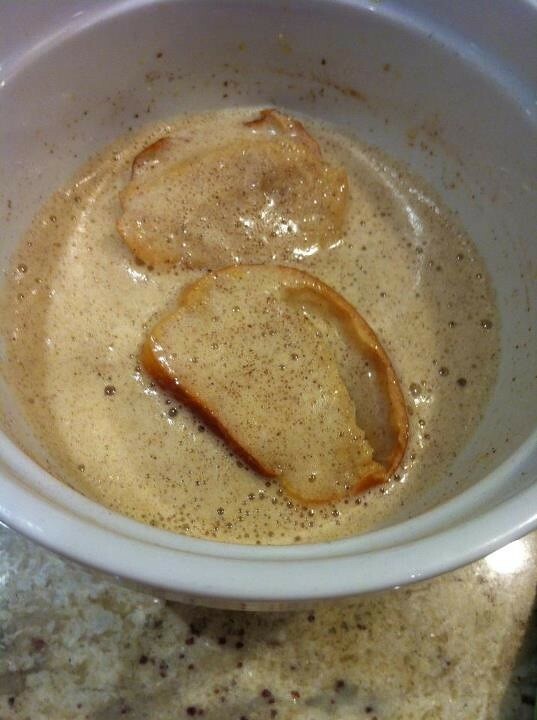 Soak the bread in the egg mixture for a few minutes. 3. 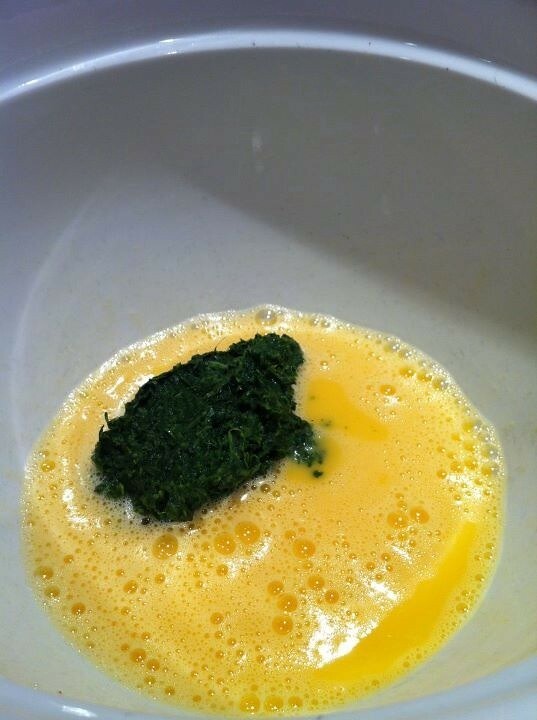 Take one slice of bread out from soaking and place in a shallow dish with the beaten eggs. Coat both sides. 4. 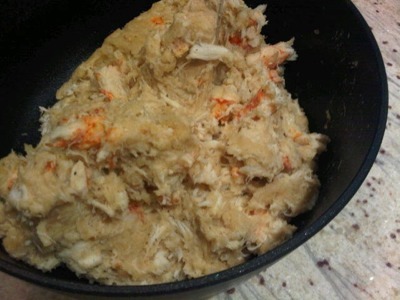 Place the coated bread in the pan with hot oil. 5. Fry on both sides until golden. 6. While the bread is cooling, bring the ingredients for the syrup up to a boil in a saucepan. 7. 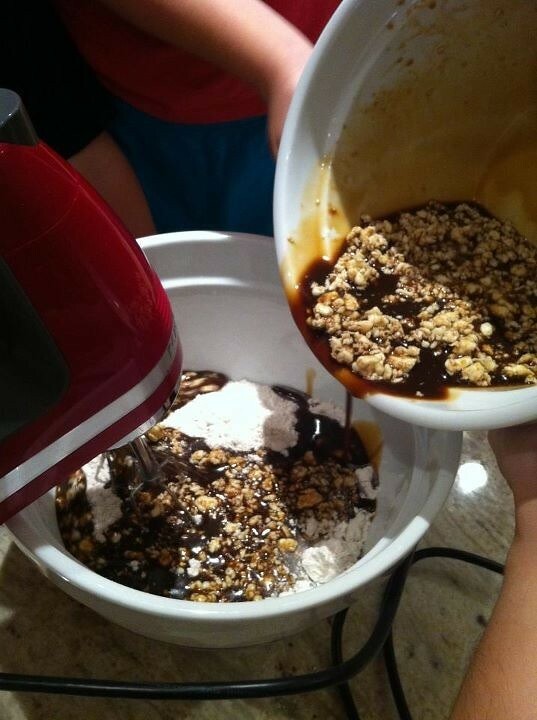 Dissolve the sugar and remove from heat. 8. 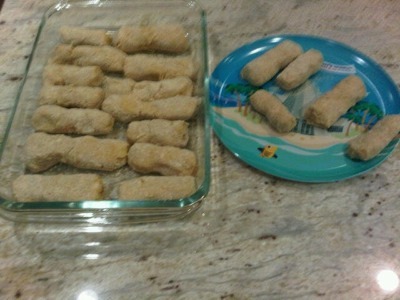 Serve the torrejas cold or warm with the warm syrup. 2. 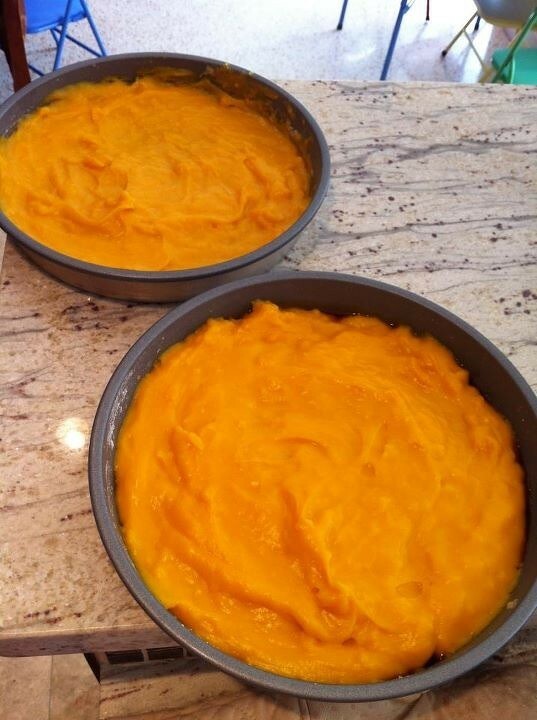 Grease a square, 8" baking pan. 3. 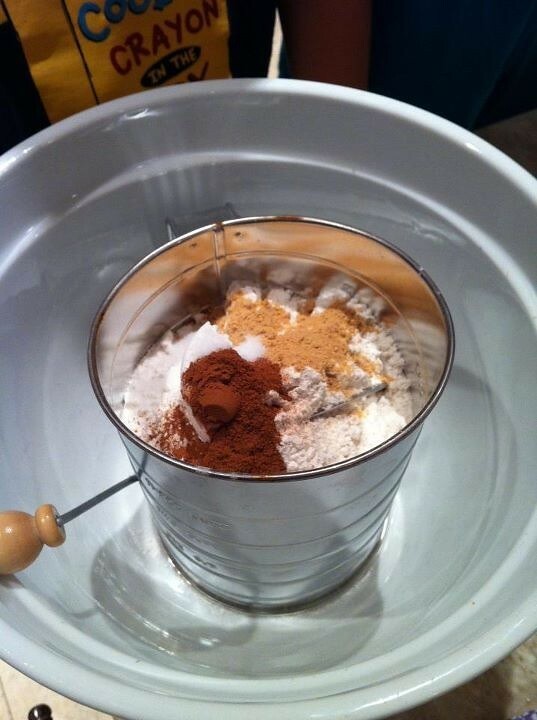 Sift the dry ingredients. 4. 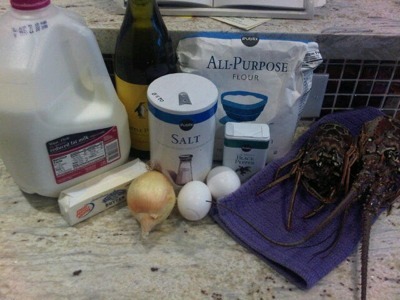 Beat the butter with the sugar, egg, molasses, milk and cooking wine. Mix well. 5. Add the wet to the dry. 7. Bake for 45-50 minutes, or until a knife comes out clean after testing for doneness. 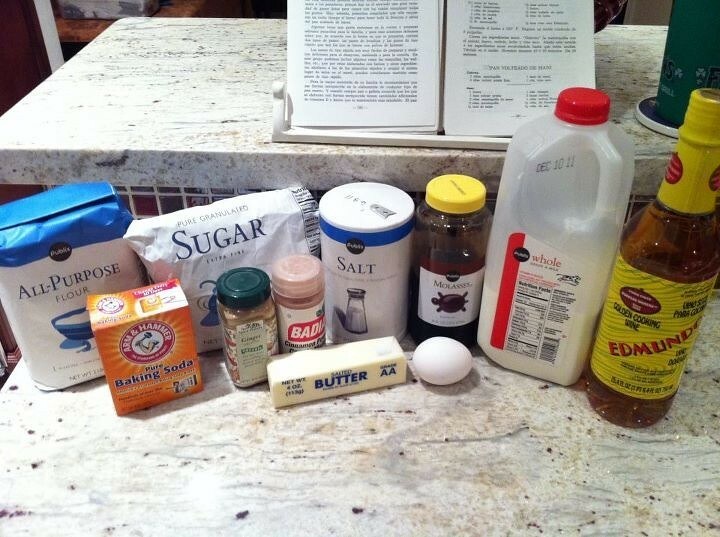 Not gingerbread cookies. Not a gingerbread house. Not even Gingy, the gingerbread man. Ginger Bread. 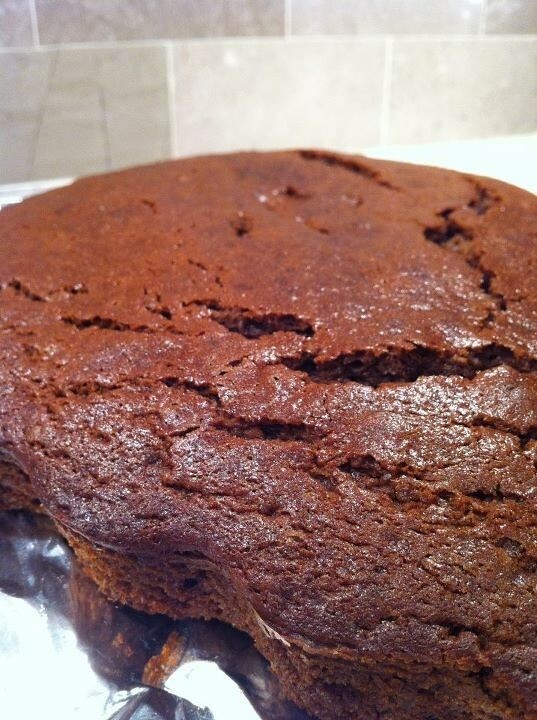 Like a banana bread, but made with ginger. 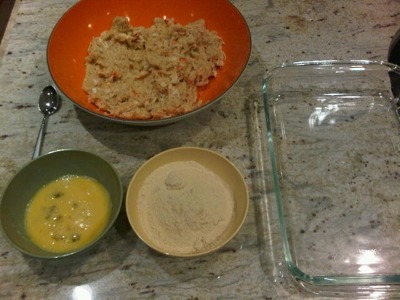 This Recipe #528: Pan de Jengibre had me very curious. I had never tried it, nor heard of it. Not to mention that I had no idea how it ended up in a Cuban cookbook. It was great. And it officially kicked off the holiday season. Bring on the elves and chilly weather. We're officially ready. If I would have tried to pick the three ugliest sides for my Cuban Thanksgiving table this year, I wouldn't have been as successful. What ugly-looking dishes. Not bad tasting, just real feo. This year, my goal was to find some make-ahead options. Not necessarily make-ahead by a few days, but rather just dishes that I could have ready in the morning before leaving to Tia Gladys' annual luncheon. 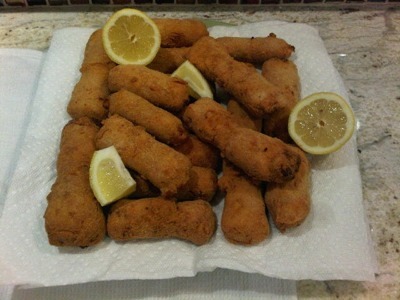 And that I could make while hosting my cousin in the morning during our easy Cuban bakery brunch. Islas Canarias party croquetas, pastelitos and all. 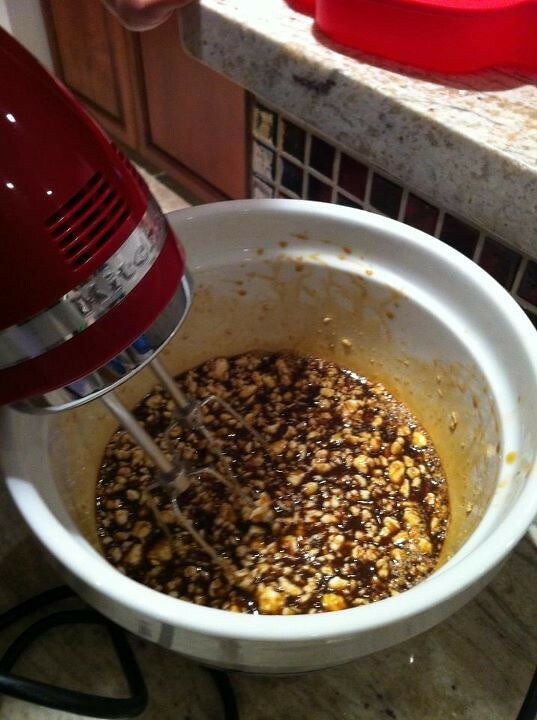 Recipe #240: Pudín de Espinacas was first on the list to prepare and I started on Wednesday night. 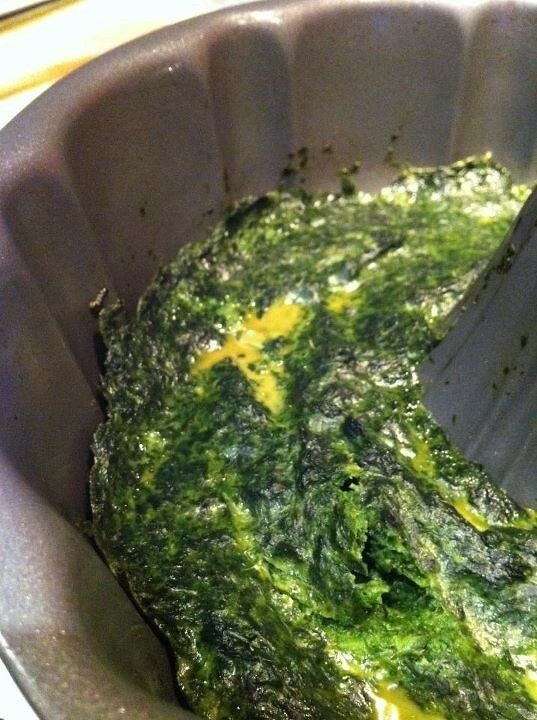 I completely cooked the dish through and it looked real pretty with it's bright green and butter yellow colors. 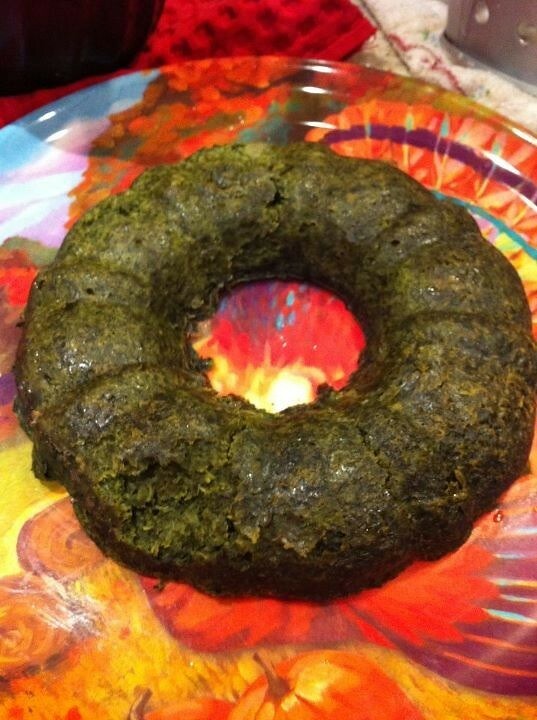 This dish is a spinach pudding, or maybe a spinach souffle. I'm still not sure. But after reheating it before dinner on Thursday, the pretty bright green turned into a dark green that resembled all sorts of bathroom jokes. Next time, I'll prep until the cooking part and leave in the fridge overnight. Half of it was eaten, but I'm not sure if it was out of pena (consideration), or because it was tasty. It tasted alright to me. I received one positive review from Jackie, that was actually looking for something green, as this was her third meal of the day. 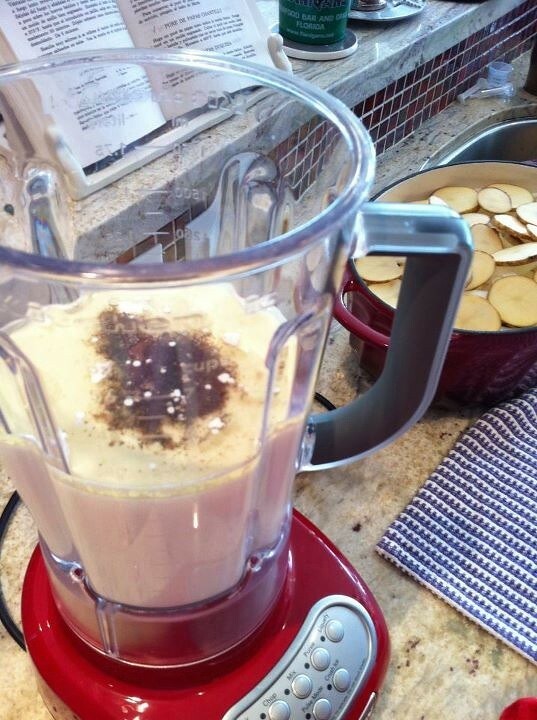 Recipe #242: Papas en Salsa Blanca is a dish that had great potential. 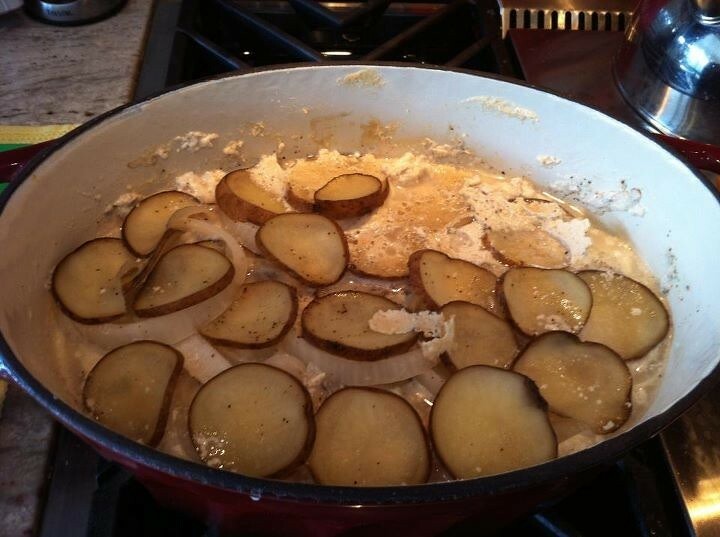 Potatoes and onions in a cream sauce. There should have been magic happening in that dish. I'm not sure what went wrong, looks-wise. In doubling the recipe because of the large crowd, I had too many layers and too much cream. The black pepper stayed at the bottom of the blender, which created a gritty look as the black pepper came out last to cover the dish. Maybe I should have increased the recipe by 50% instead of doubling it. Maybe I shouldn't have covered the dish? Nitza doesn't indicate whether to cover it or not. I covered it, which may have been why there was so much cream. 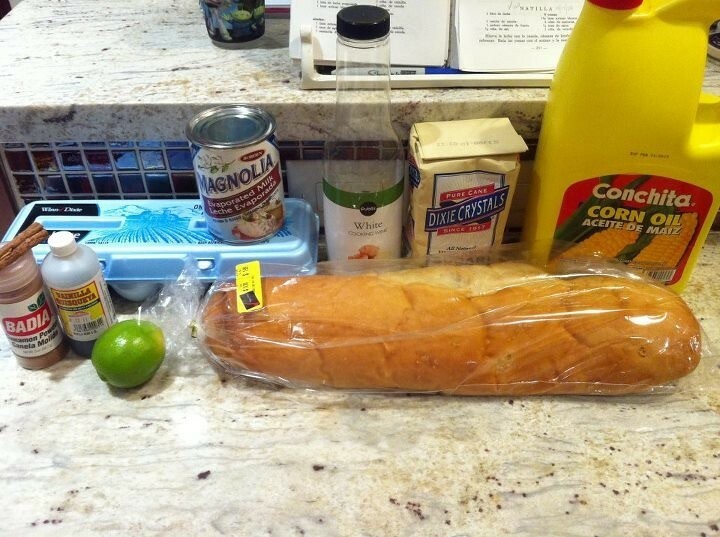 Maybe this should just be baked in the oven. 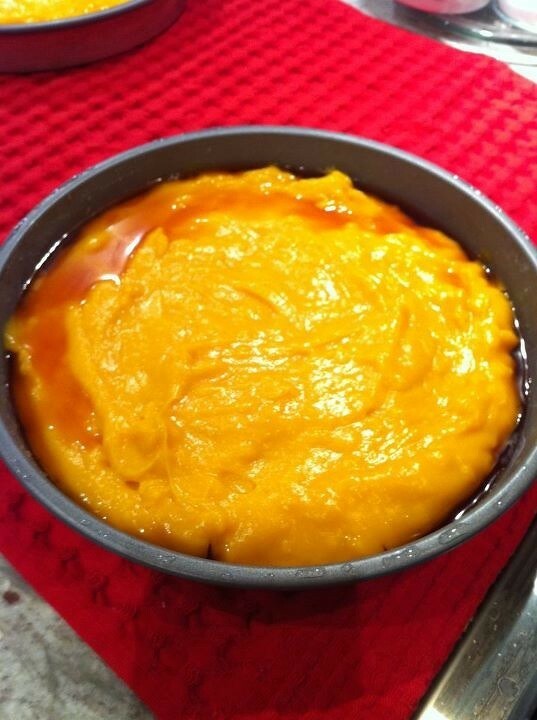 Finally, for dessert, Recipe #485: Flan de Calabaza. I had been warned. I had been told there wasn't enough cornstarch in the recipe. I even had one of our resident Cuban home-cooked meals experts telling me she uses up to 10 Tablespoons of cornstarch (recipe calls for 6T). But, I follow each recipe to the letter as part of The Project, to make sure I follow it as Nitza designed. I didn't alter it to avoid breakage. So, while I thought I was break-free at the pre-flip, a la hora de los mameyes (when push came to shove) and it was time for the flip, it broke. I can only imagine what you're saying to yourself right now. "En Cuba, esto no pasaba". I know, this would have never happened in Cuba. 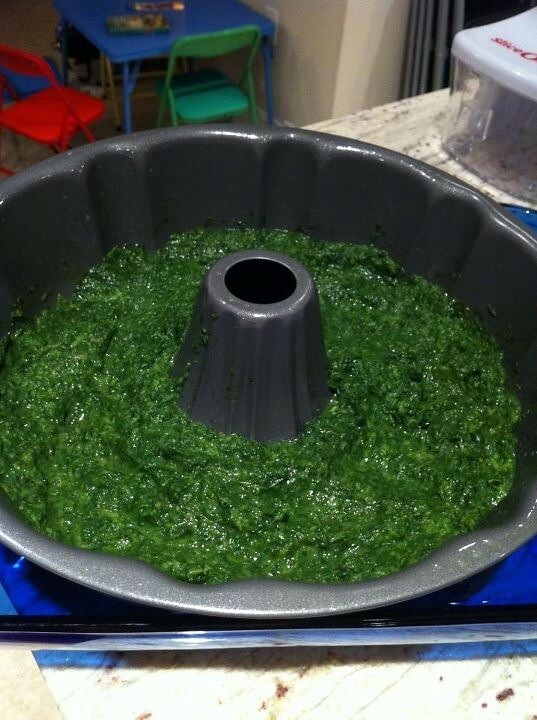 The spinach would have been greener and the potatoes would have been golden. 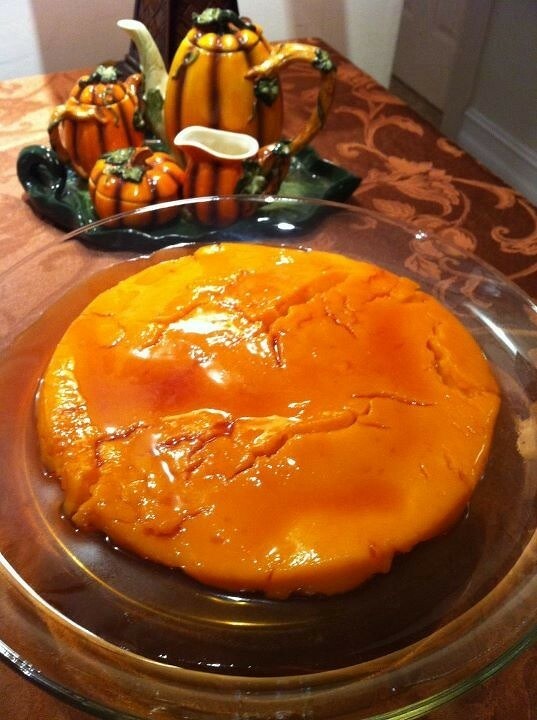 And the flan, well, the flan wouldn't need any additional maicena (cornstarch), my dear. Not one bit. 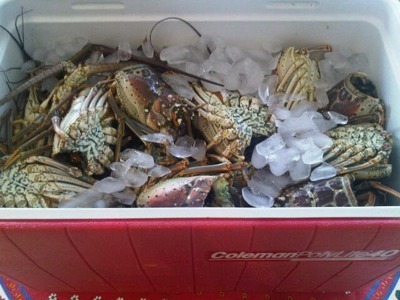 The maicena in Cuba would have avoided all possibility of breakage. Ay Cuba. Tus niños lloran. Dear, Cuba. Your children miss you and your better ingredients. 1. 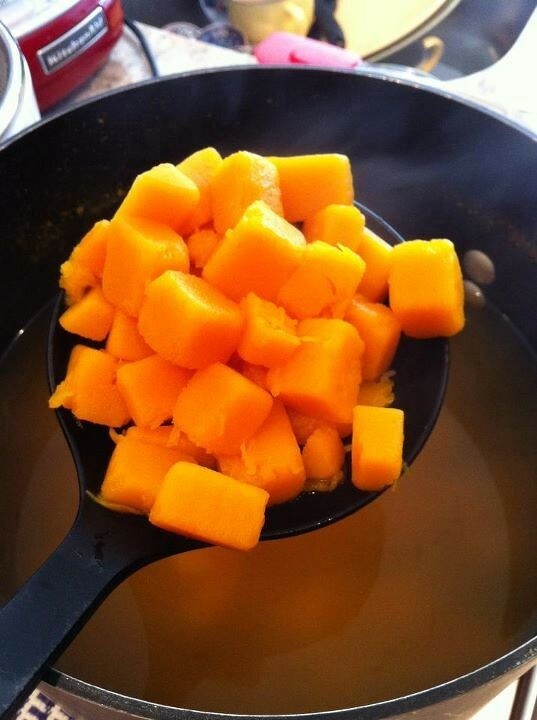 Peel the butternut squash, cut into cubes and boil until very soft. 2. 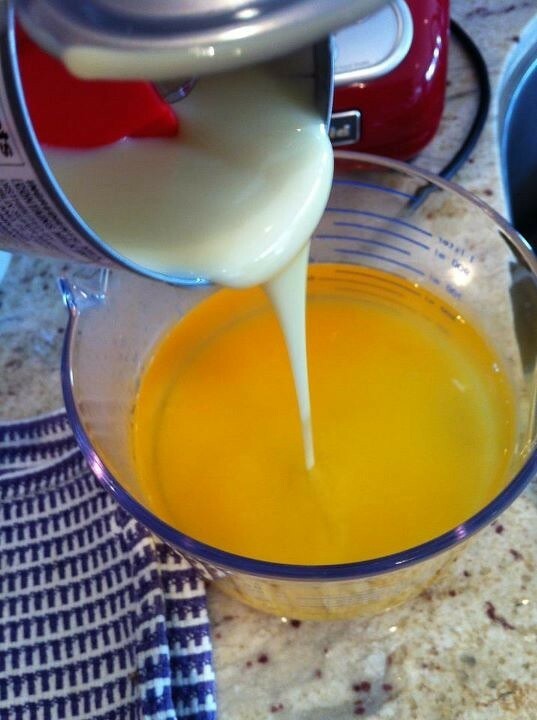 Mix the water (use the same water from boiling the squash) and condensed milk. 3. 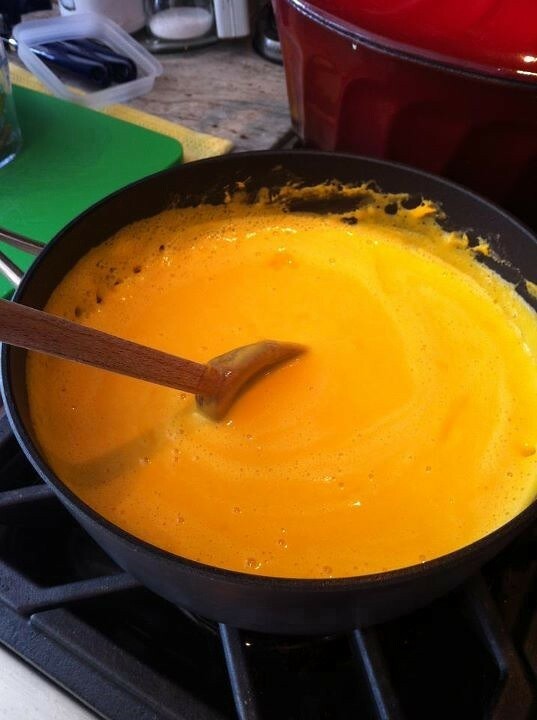 Take half the liquid and pour into a saucepan over high heat. 4. 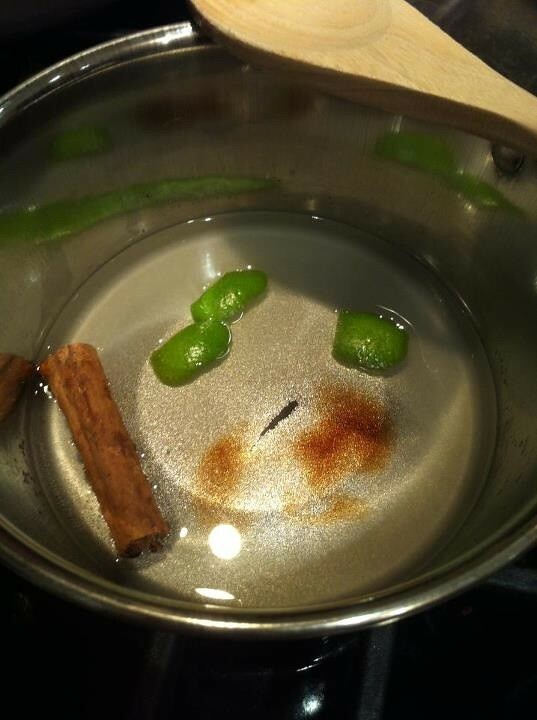 Add salt and the cinnamon stick and heat through. 5. 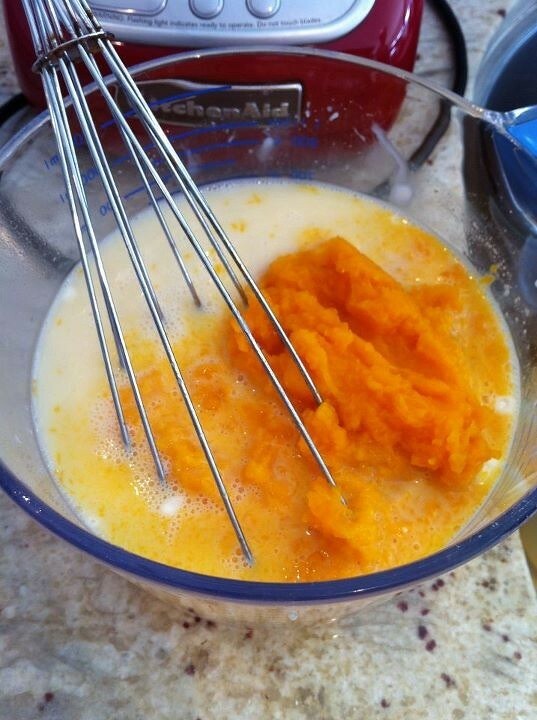 Puree the squash and add it to the other half of the milk, along with the cornstarch and sugar. Mix well. 6. 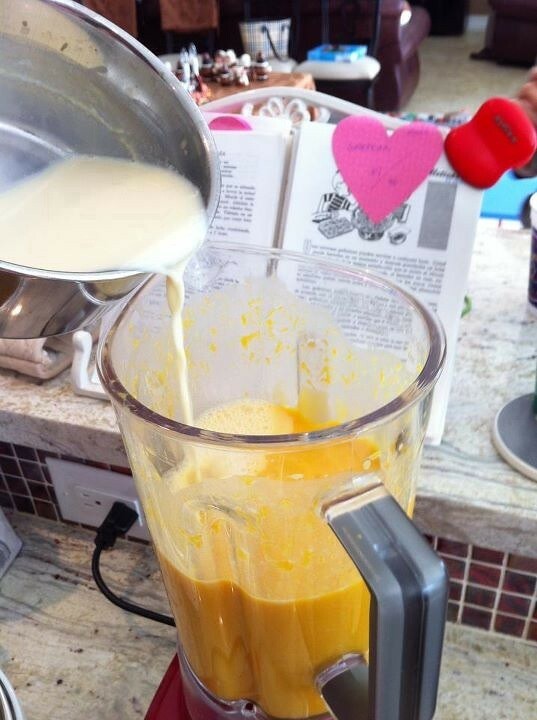 In a blender, add the hot milk mixture to the squash mixture. 7. Pour the liquid into a pot and heat through, until it starts to thicken. 8. 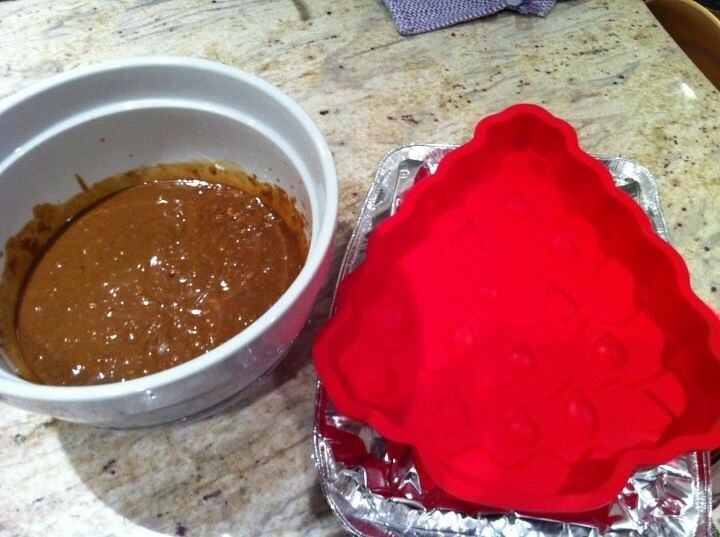 Prepare the caramel for the bottom of the pan. 9. Pour the custard into the caramel-lined pan. 10. Let the flan cool until it sets. 11. Flip onto a serving dish with raised edges. 1. 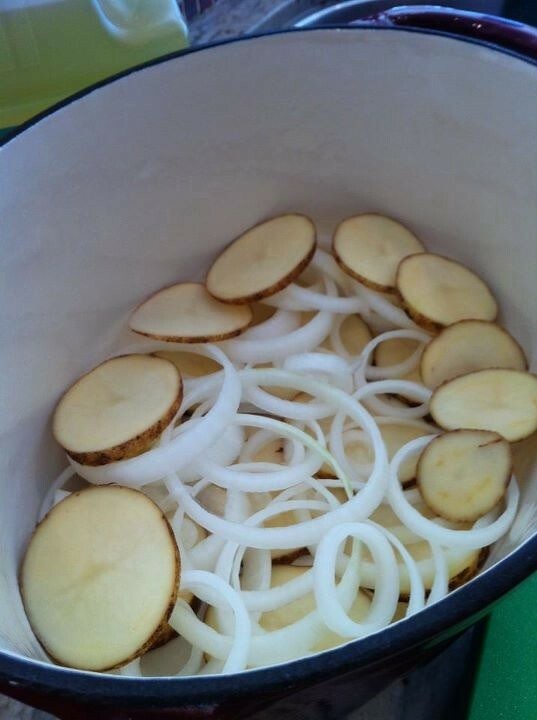 Slice the potatoes and onion in rings. 2. 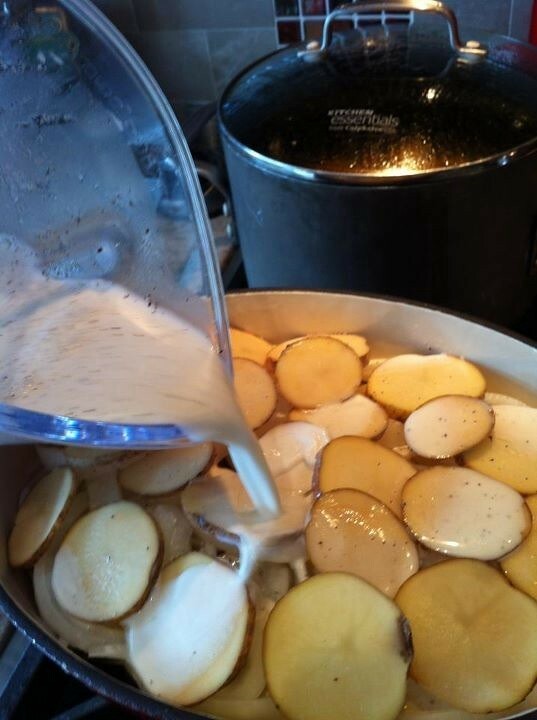 In a heavy pot or casserole dish with lid, place alternating layers of potatoes and onions. 3. 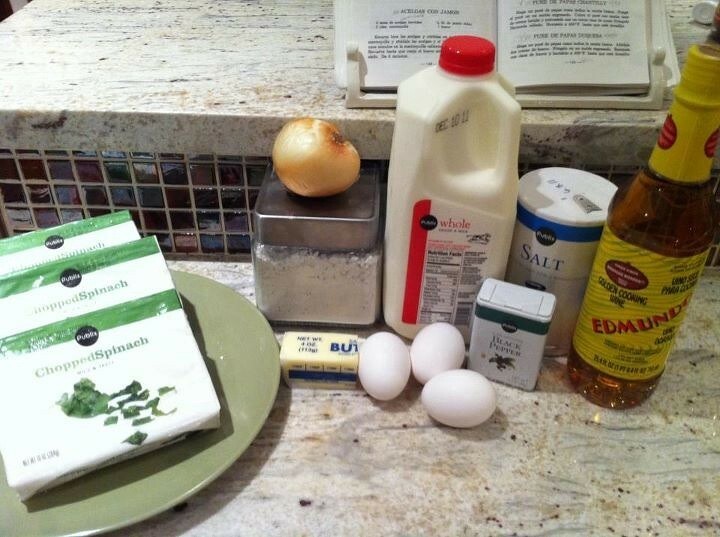 Mix the milk, oil, salt and pepper. 4. 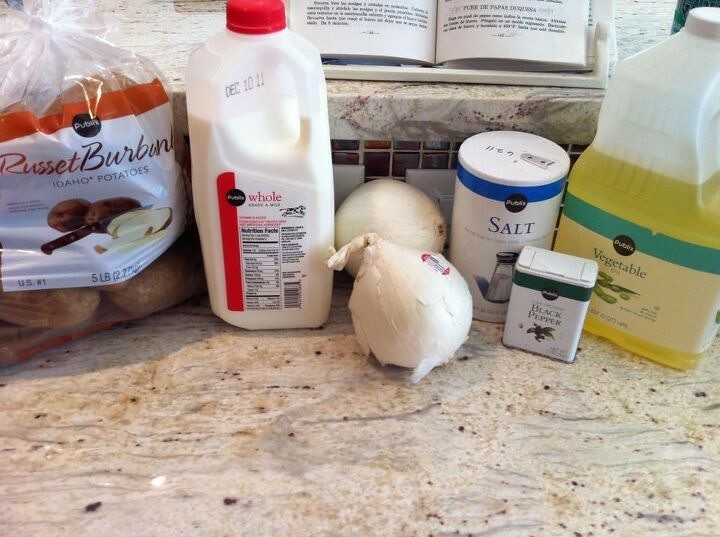 Cover the potatoes and onions with the liquid. 5. 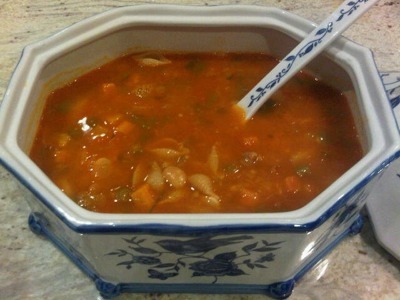 Cook over low heat, without stirring, for an hour. 1. 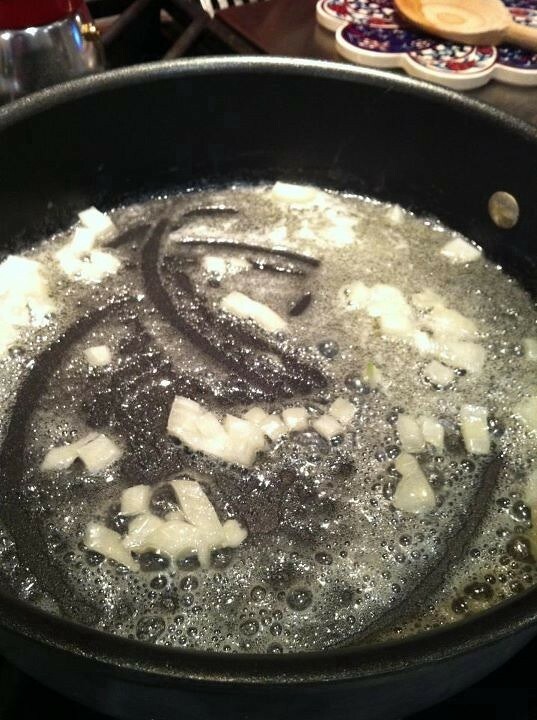 Melt the butter and fry the onion until softened. 2. 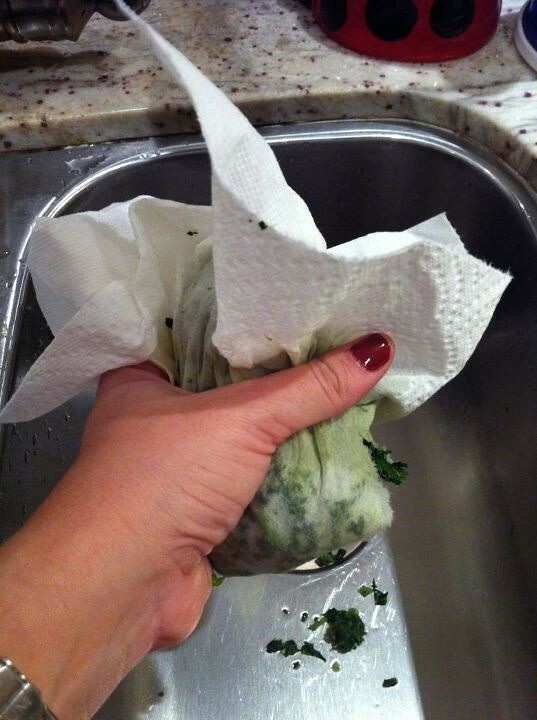 Dry the spinach by squeezing all the liquid out with paper towels. 3. 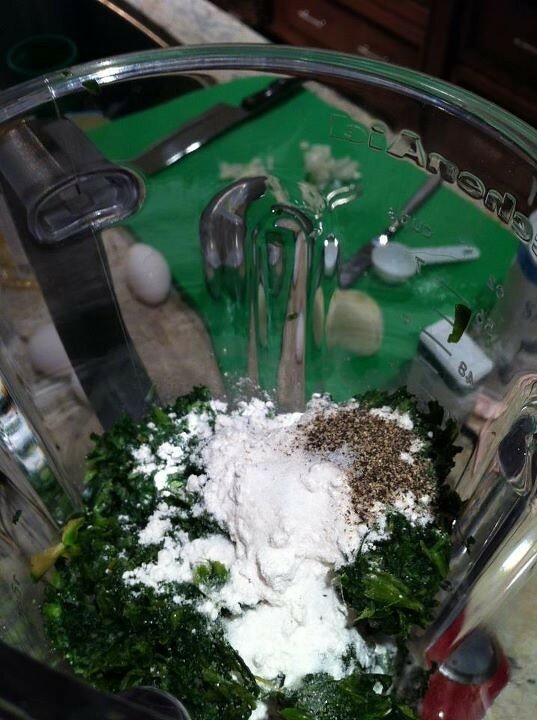 In a blender, mix the spinach, milk, flour, salt and pepper. 4. 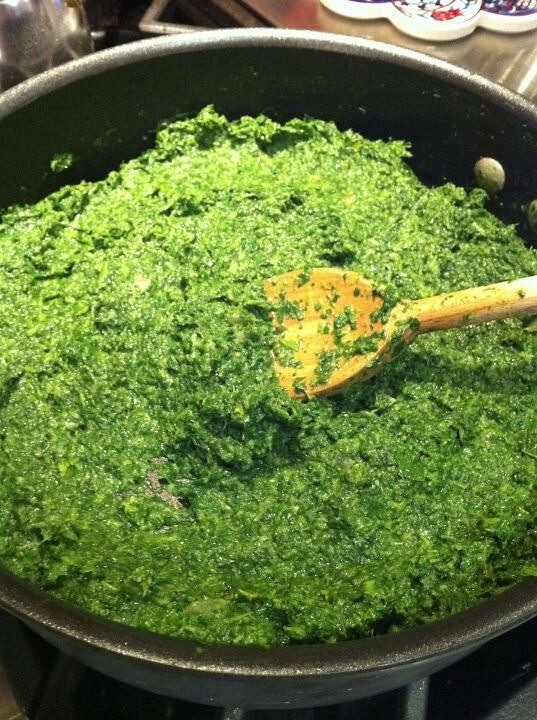 Pour the spinach mix into the butter onion mix and heat through. 5. Once it thickens, remove the pan from the heat and add the cooking wine and mix well. 6. 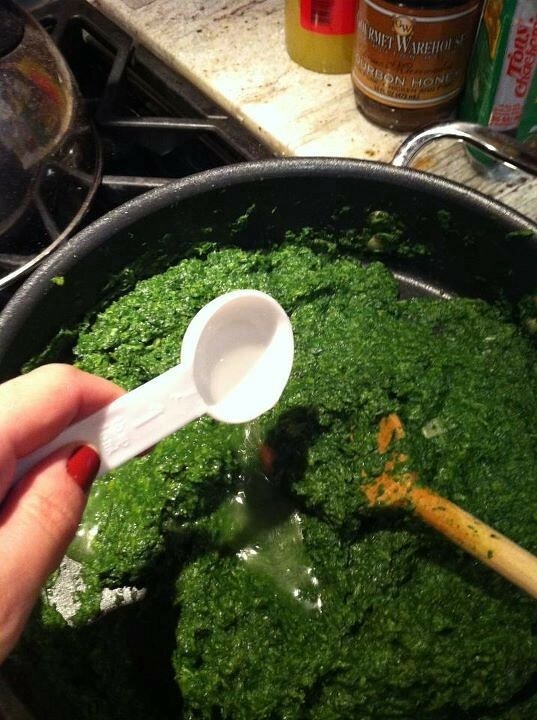 In a bowl, beat the eggs and gently fold in the spinach mix, adding a scoop at a time after each mixing. 7. 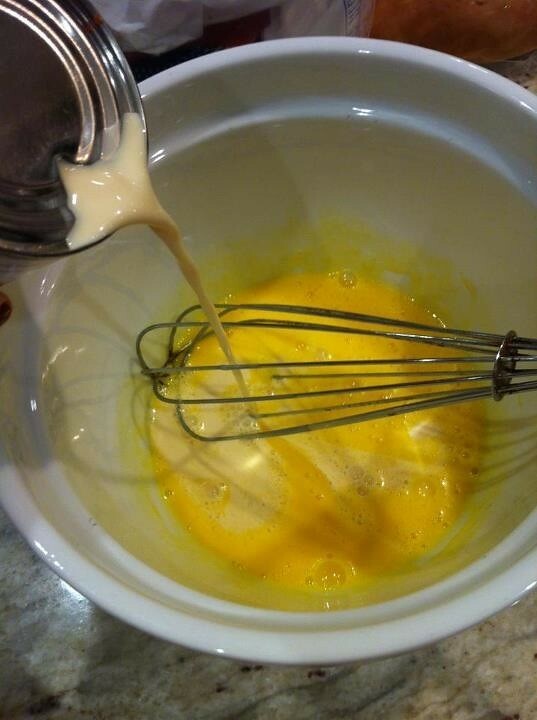 Pour the mix into a greased bundt pan. 8. Place the bundt pan into a large Pyrex and pour hot water into the Pyrex until it comes up the sides of the bundt pan by at least 1". 9. Bake at 375 degrees for 30 minutes. Check for doneness by inserting a toothpick or knife and having it come out clean. 10. Let cool for 30 minutes before flipping out onto a serving dish. This dish can also be made with a layer of camarones enchilados (shrimp creole) in the middle of the spinach. To get something done, you just have to do it. Behind schedule in The Project, kids back to school, deciding to become a homeroom mom, two soccer kids, piano and jazz. And my still new job. And the house. And before all that, the hubby. And so, with pure enlightenment from above, I present the appetizer that can be made in less than 10 minutes and will keep people talking for months. I'll always thank Maray for introducing me to the original version of the recipe - cream cheese, guava marmalade (or preserves) and crumbled bacon. For the cook-off, I added sea salt and black pepper flavored pistachios for that extra savory kick. Spread the guava over the cream cheese. Top the guava with crumbled bacon. End with the pistachios, roughly chopped and sprinkled over the top.